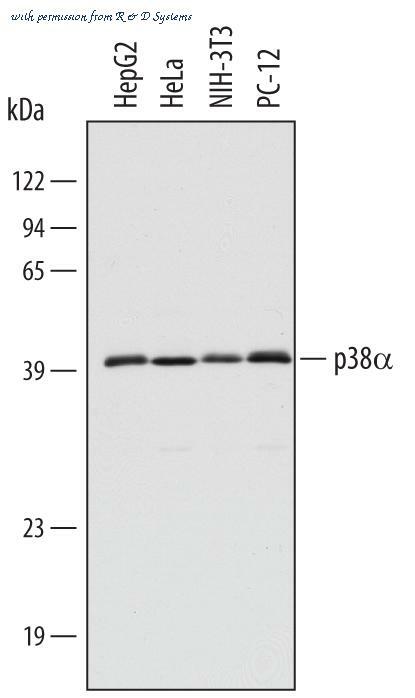 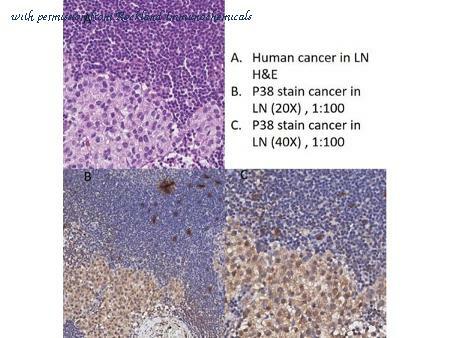 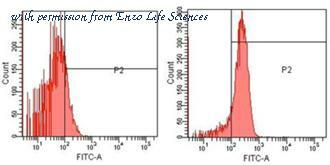 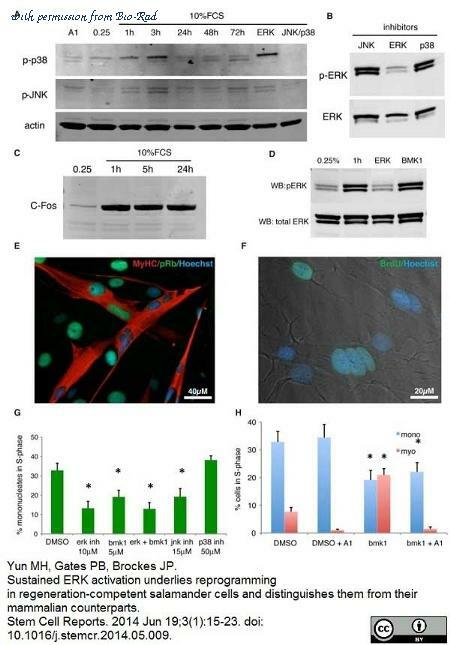 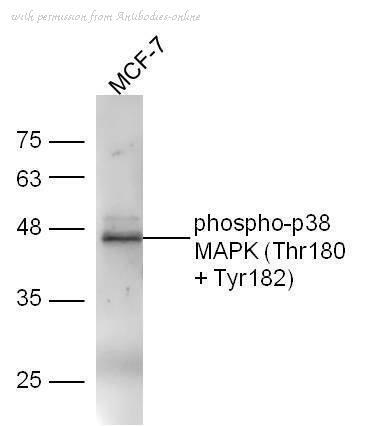 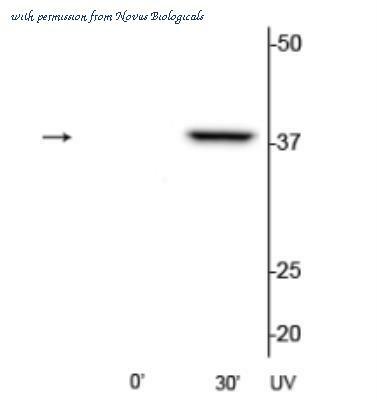 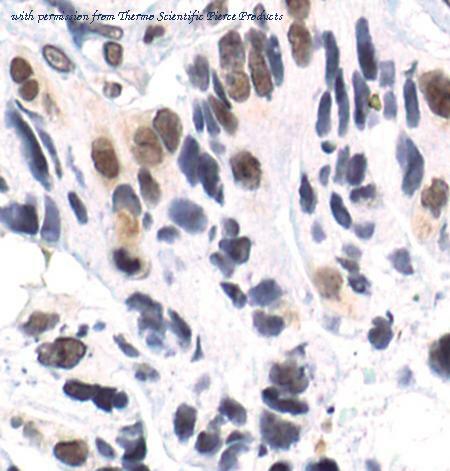 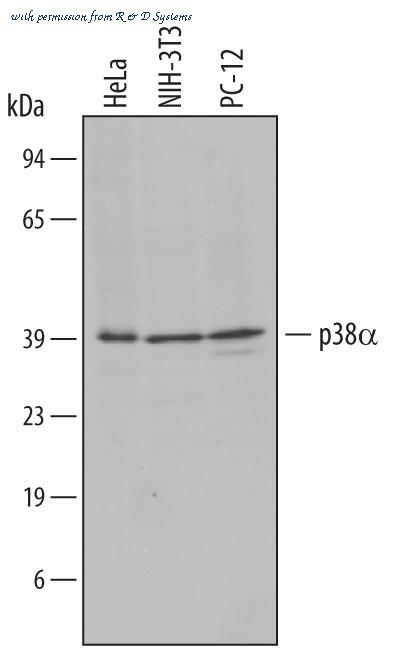 Human MCF7 lysates probed with Rabbit Anti-p38 MAPK (Thr180+Tyr182) Polyclonal Antibody, Unconjugated at 1:5000 for 90 min at 37?C. 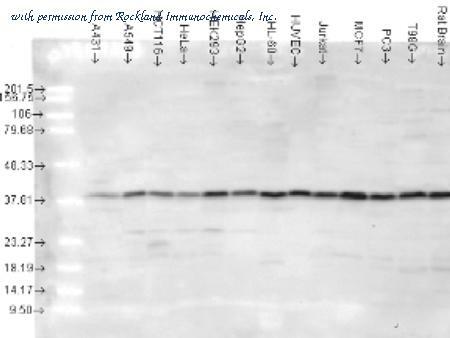 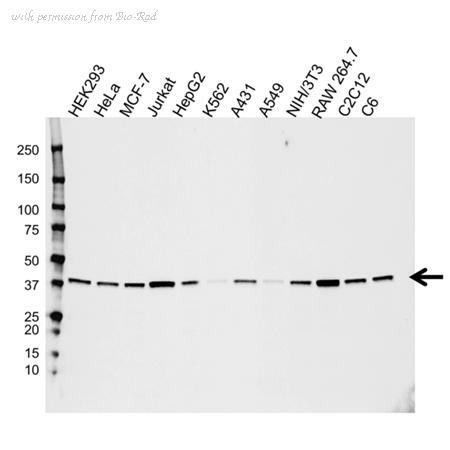 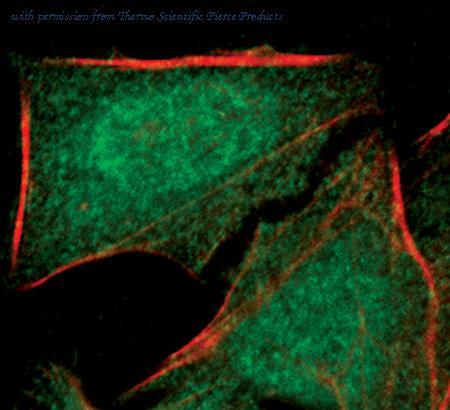 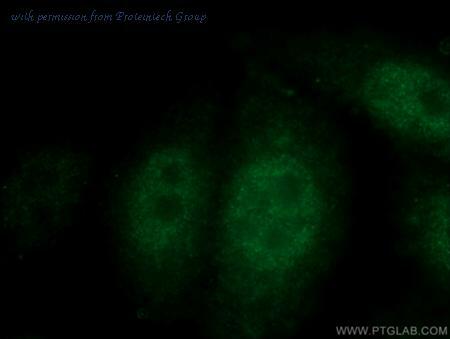 Mouse Mapk14 Antibody western blot of Jurkat cell line lysates (35 ug/lane). 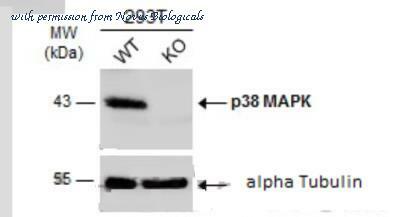 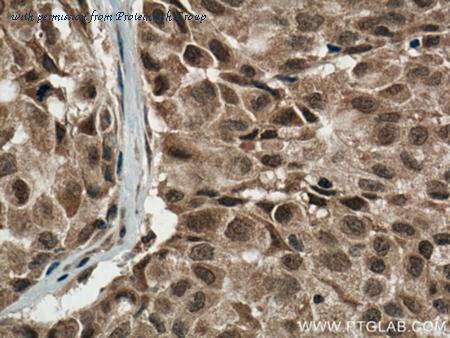 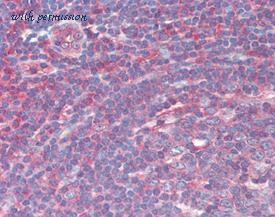 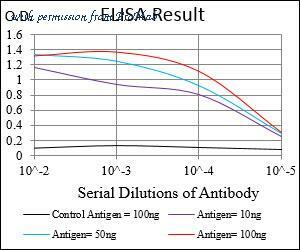 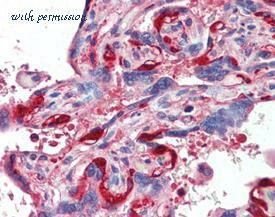 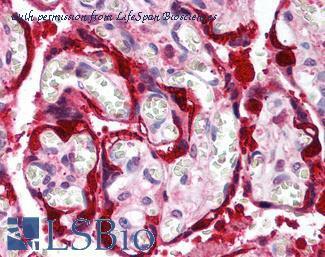 The Mapk14 antibody detected the Mapk14 protein (arrow).